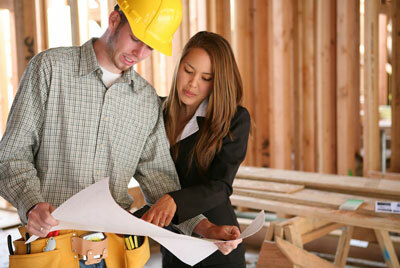 Whether by accident or design, the working partnership between real estate agent and building contractor is not a rare occurrence. At the high-end, that newly-purchased luxury home will inevitably require some degree of remodeling, and it’s often from the real estate agent that the home buyer seeks recommendations for a trusted contractor. How well do these two service professionals work together? We have the answers. In this revealing, tell-it-as-it-is presentation, a panel of the Bay Area’s most respected building contractors and remodelers will the discuss the optimal partnership between the contractor, real estate agent , architect and interior designer. They’ll reveal the secrets of a happy marriage, one that maximizes time and resources, leads to more effective methodologies for building client trust and ultimately results in a long-term partnership that benefits all parties, most noticeably the client. Sid Baxter, S.A. Baxter, Inc. 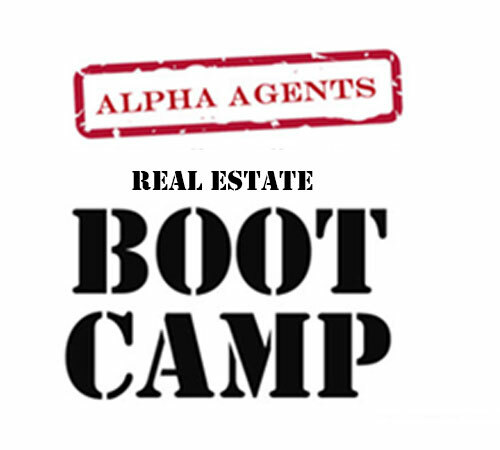 The Annual Alpha Agents Boot Camp now in its ninth year, continues to grow in popularity because of its informative programming and unique take on what’s happening within the regional real estate marketplace. More than 300 agents representing major Bay Area residential brokerages will be in attendance. Beyond the lineup of unique and compelling presentations that address “What lies ahead for the real estate industry and its agents,” the Boot Camp provides a networking and corridor-talk environment that remains unrivalled. 11.00-11.45: Virtual Reality Demo: Learn how to differentiate yourself with Virtual Business Card technology and tour a Pacific Heights property in true Virtual Reality accompanied by a toolbox presentation of the latest cutting edge visual technologies for securing listings and promoting properties. The “green” Gold Rush has arrived as cannabis continues its rapid drive toward mainstream acceptance for both a medical and recreational use. With independent, sometimes questionable players now being marginalized by professional supply channels, the industry is on the eve of achieving a corporate-like legitimacy that was unimagined a mere decade ago. While the legalization of recreational use fuels headlines and Proposition ballots, medicinal use has achieved a level of acceptance by both the public and the established medical community. 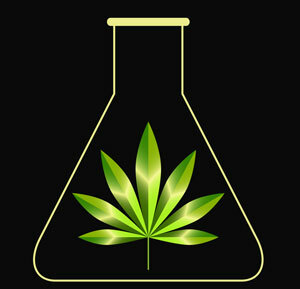 In order to better understand the industry and the issues—production, supply, quality control, distribution, marketing, and, most importantly, therapeutic benefit, Alicia Rose, co-founder of the HerbaBuena Social Club will deliver a lively presentation on the human endocannabinoid system and how THC, CBD and other cannabis compounds work to help support health and well-being. A full range of current cannabis products will be on display solely for education and information purposes and not for sale or consumption. Individuals interested in becoming a member of the Collective will be provided with information on the requirements for obtaining medical qualification. HerbaBuena Collective is a legal cannabis company on the forefront of creating a new cannabis culture promoting health, wellbeing and pleasure for a sophisticated consumer looking for the same quality and purity in their medicine as they do in their organic food or fine wine. They offer a thoughtfully curated selection of best-in-class products, a line of solution-based herbal remedies and topicals, organically and biodynamically cultivated strains of flowers, informed member consultations, and a series of intimate educational and tasting experiences they call Social Club. Due to the current regulatory system, only verified members over the age of 21, with a valid doctor’s recommendation and completed membership form, are able to purchase cannabis products. The soothsayers remain optimistic about the real estate market in Silicon Valley for the balance of the year. Continuing inventory shortages, coupled with a buoyant economy and tech-heavy employment sector growth would indicate that their optimism is not unplaced. But why speculate with the pundits when we can get the straight scoop from those who are best suited to deliver opinion that really matters–the region’s top producers? This panel of seasoned veterans will dissect the South Bay market and provide their insights as to where real estate is headed in the balance of 2016 and what opportunities and challenges lay ahead for what is currently a hard-to-corral marketplace. 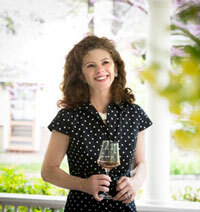 Nobody Writes About Wine Like Lettie! The Luxury Marketing Council of San Francisco is honored to present noted wine columnist Lettie Teague in conversation about her career in wine and why she loves all kinds of wines except Pinotage. Lettie will also discuss and sign copies of her most recent, best-selling book, Wine In Words: Some Notes for Better Drinking. Profits from the sale of the book will benefit the Jameson Animal Rescue Ranch. Lettie is the wine columnist for The Wall Street Journal and writes two weekly columns, “On Wine” published every Saturday (except one) and “Uncorking New York” which appears each Wednesday. Lettie won a 2012 James Beard Award for her “On Wine” columns for The Wall Street Journal and before joining The Wall Street Journal in 2010, she was the executive wine editor at Food & Wine magazine where she oversaw the magazine’s wine coverage and also wrote the award-winning monthly column “Wine Matters.” She received the James Beard Foundation’s M.F.K. Fisher Distinguished Writing Award in 2003 and the 2005 James Beard Award Best Magazine Columns award for her column “Wine Matters.” She was inducted into the Wine Media Hall of Fame in June 2015. Lettie is also the author of Educating Peter: How Anybody Can Become an (Almost) Instant Wine Expert and the illustrator and co-author of Fear of Wine: An Introductory Guide to the Grape. At the recent Luxury Marketing Council Wineries Boot Camp held February 24th, presenter David Friedman, President of Wealth-X, the global authority on wealth intelligence, generated great interest and heated discussion with his very compelling presentation on the nation’s UHNW’s (Ultra High-Net Worth individuals) and how to effectively market to them. Because of an agenda time limit, David’s presentation was presented in brief summary form. Attendees at the Boot Camp have vigorously clamored for his return so that he can revisit the subject in detail and without time restriction. We are delighted to announce that David Friedman will be returning to wine country. Come join us as David delves into the subject of wealth in the U.S.— who has it, what they do with it and how to reach them. Subscribing to the belief that the market for reaching the super-affluent is broken and inefficient, he shares information and insights from Wealth-X’s extensive data trove and lays down a prescriptive plan of attack that is highly relevant to an industry, such as wine, that seeks to capture the affluent customer and the premium dollar. The arcane world of insurance remains a source of confusion and anxiety, albeit of necessity, for most. For professionals, real estate agents for example, who have to respond to client inquiries and entreaties, the risk of providing wrong information or out-of-date advice can result in unnecessary cost, lapsed or failed coverages, failure to satisfy fiduciary responsibility and ultimately an unhappy client. 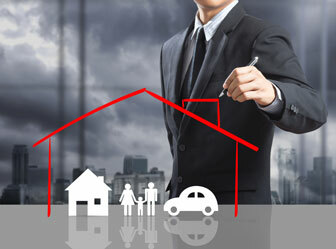 In this easy-to-digest seminar, insurance concepts are explained in layman’s language; the latest products, services and technologies are detailed in overview form; and every question is patiently addressed. Kajal Pashmi is a native of Marin County and graduated with a BA degree in Management and minor in Accounting at the University of San Francisco. She has worked for 17 years in Insurance and Banking including careers at HSBC, Chase and Wells Fargo where she specialized in residential lending and investments for high net worth individuals. 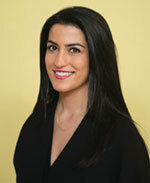 She has also worked with Farmers and State Farm and is an expert in Home, auto, life and business insurance. 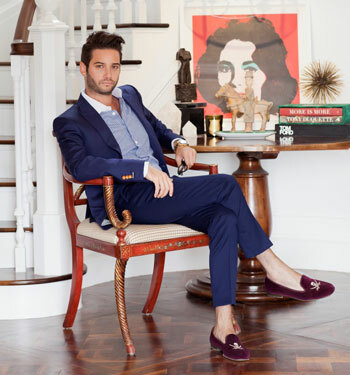 The Luxury Marketing Council of San Francisco, in partnership with the San Francisco Design Center, is pleased to present “A Marriage Made in Heaven” featuring Josh Flagg, the celebrated star of Bravo TV’s “Million Dollar Listing LA”. In this entertaining and informative panel discussion, we address the symbiotic, yet unexploited relationship between the real estate agent and interior designer, with the client as the common connection and center of affection. Real estate’s top producers and interior design’s celebrated masters acknowledge and appreciate the value that both parties bring to the table in terms of making a sale and a happy client. We eavesdrop on the “best in class” as they trade and share the secrets of their success. 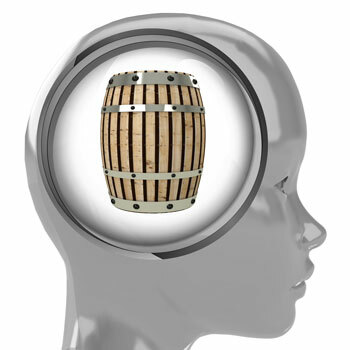 The Luxury Marketing Council of San Francisco is proud to present its Annual Wineries Boot Camp now in its fourth year, and growing in popularity each year among wine country influentials. More than 300 marketing, sales and hospitality managers and operating staff, representing 100+ Napa and Sonoma wineries will be in attendance. Beyond the lineup of unique and compelling presentations developed specifically to answer the question “what lies ahead for wine marketing?” the Boot Camp provides a networking and corridor-talk environment that remains unrivalled. “The Affluent Consumer”: Research leader IPSOS and Jackson Family Wines present the latest trend data on affluent consumers in the U.S.- how they think, what they drink, what they buy and how to reach them. “The UHNW Test”: We ran a well-known wine club’s top customer list against the Wealth-X database of the nation’s UHNW’s (Ultra High-Net Worth individuals)… with surprising results. “Direct Response 6.0”: A digital delivery platform that actually works with tangible, revenue-driving results, affordable cost, and targeted distribution to wine consumers, enthusiasts and aspirationals. “Roots and Clones”: We converse with the prominent Peju family as its members discuss the hand-off from founder to the next generation of leadership. This premiere of the Luxury Marketing Council’s Original ToutSuite Series “Roots and Clones” will be streaming live on ToutSuite.com and available thereafter on demand. “Virtual Reality”: It’s today’s reality and it’s about to revolutionize the way wineries will package, present and promote their brands and experiences. See how a well-known Napa winery appears in VR. “Was It Good for You?”: An eye-opening report on 85+ tasting rooms we “mystery shopped” in Napa and Sonoma from November 2015-February 2016. Bay Area Real Estate in 2016: What Can We Expect? 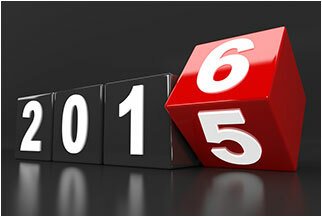 The soothsayers are predicting a robust residential real estate market for the Bay Area in 2016. Continuing inventory shortages, coupled with a buoyant economy and tech-heavy employment sector growth, indicate that their optimism is not unplaced. But why speculate with the pundits when we can get the straight scoop from those who are best suited to deliver opinion that really matters – the Bay Area’s Top Producers as identified by the Wall Street Journal’s Top 250 Real Estate Professionals List? This panel of seasoned veterans will dissect the Bay Area market and provide their insights as to where real estate is headed in 2016 and what opportunities and challenges lay ahead for what is currently a hard-to-corral marketplace.